Marcia Gibson Watt, famous the world over for her unique style pastel works, approached EHP just one week prior to her private sale exhibition in London. The gallery she was planning to exhibit at had suffered a severe leak, and was rendered unusable – she needed a new venue, and quickly. After some thought, she proposed the Chelsea Physic Gardens as the new location, but although atmospheric, the gardens do not feature any hanging space. 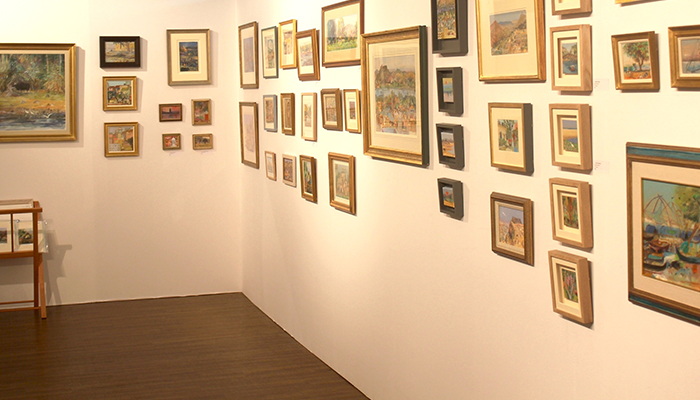 EHP were contracted to design and construct an entire art gallery with just a couple of days’ notice. To design and construct a bespoke, hanging space for an art exhibition in London’s Chelsea Physic Gardens. With many events requiring false walls, we keep large stocks on hand in our warehouse. Therefore, what seemed a big ask to Marcia was simple for us to facilitate, and we began by reassuring her that the project was in hand. We met with her on-site, discussed the way she wanted to lay out the venue, how she wanted it to be lit and took precise measurements . 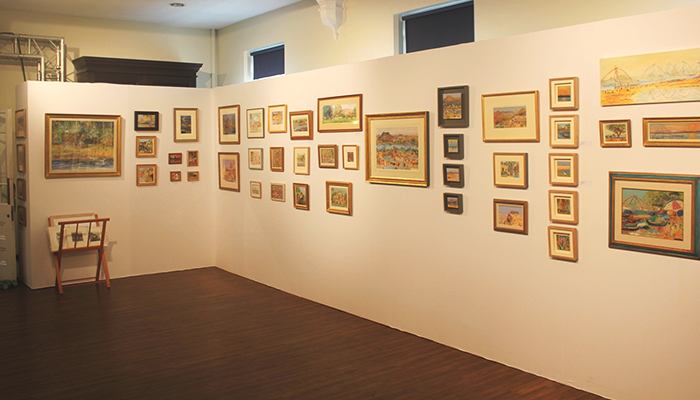 The very next day, we were able to construct the entire gallery space and hang all of the works, ready for the exhibition to begin. This consisted of a number of white, hard facia flats, covered with a stretch canvas sheeting to create a seamless white backdrop. The pictures were lit softly using Ovation LED Fresnels, meaning that no heavy power fixtures were required. 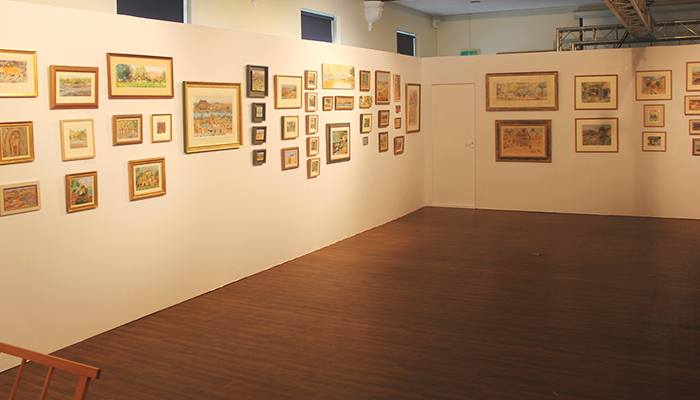 The exhibition was a tremendous success, and Marcia was thrilled with the result.